Continued thanks to all of you that have come out to our new series La Pelanga en La Misión. Each night has been a reflection of our musical inspiration and community that we have loved celebrating with you all. This month we keep the flow going with another group we absolutely love—Viento Callejero. We’re excited to welcome them to The Bay with their fresh LA take on cumiba. 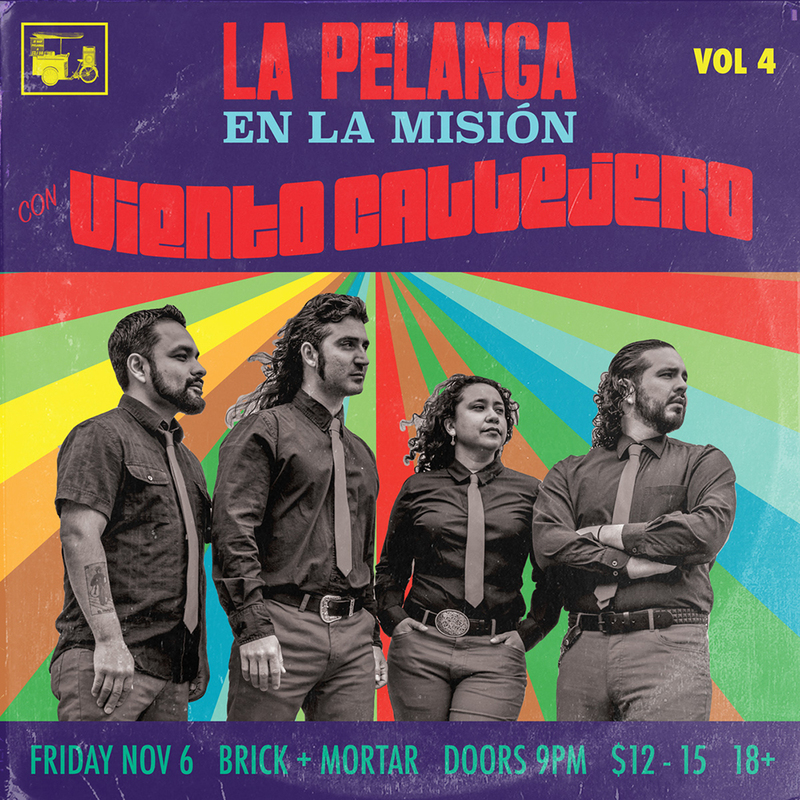 Viento Callejero have been playing in bands you likely already know and love like Chicano Batman, La Santa Cecilia, Tokeson and Sistema Bomb. Their paths have thankfully joined to record one the best new cumbia records. Check out their song La Burrita. This show will also be the debut release of their BRAND NEW 7″ SINGLE: Remolino !!!!! If you can get down with this and love dancing to the records from La Pelanga DJs, get your tickets now and $ave. This entry was posted in PELANGA EVENTS, PELANGA RECORDS! by Jacobo (DJ Pozole). Bookmark the permalink.